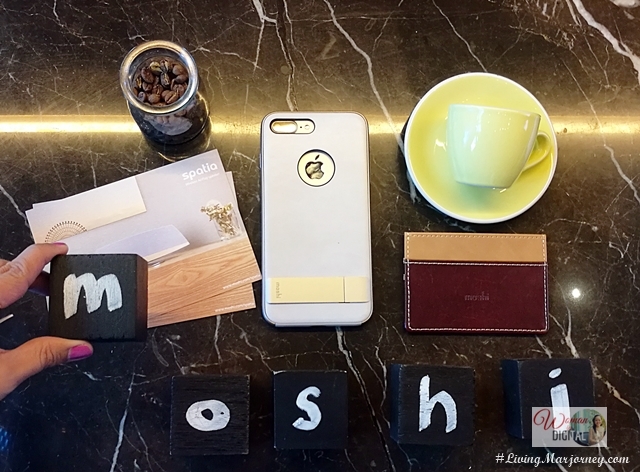 Moshi Premium Accessories for smartphones and laptops today introduces its latest collection, the Spring Summer 2017 bags and smartphone cases. 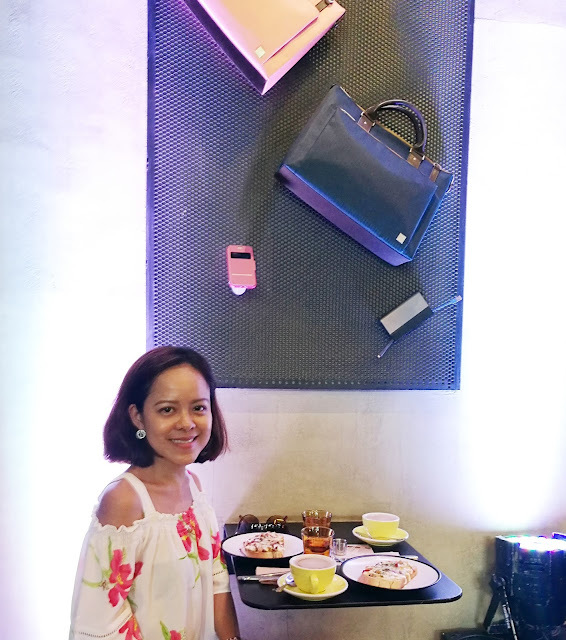 The products were beautifully displayed at Fundamental Cafe in Makati - bags and other accessories hanging on the wall. For adventurous and travelers, the Arcus backpack is a stylish and functional bag for men and women. Aside from bags and smartphone cases, there are also cable collection for video, charger, data and audio. Modern and stylish. The Urbana bags are not only light and durable. It comes in pretty colors and two sizes - small (for tablets and iPad) and big (for laptops). There's pink and blue. Eco-friendly. 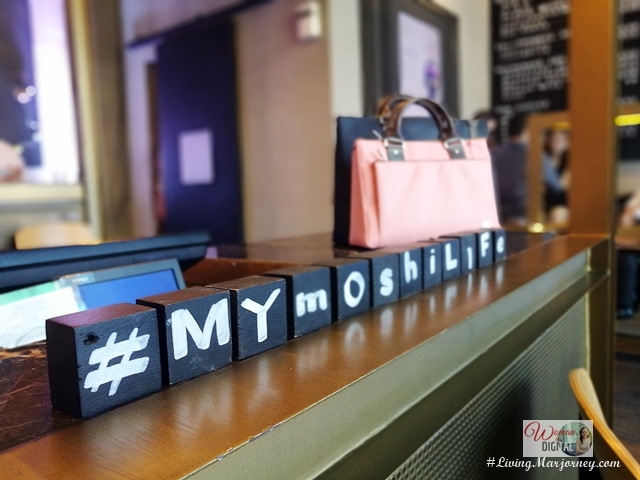 Moshi is committed to environmental stewardship evident on on durability and reusability of their products. The more durable, less likely to change products more often. Moshi uses recycled and/or naturally bio-degradable materials for packaging and boxing. I got hold of the Moshi Urbana Bag. It's very spacious and perfectly fits my Asus Zenbook 2, a charger, smartphones and even my basic makeup products. It can be worn with a sleeve or just hold it this way (photo below). On the other hand, the Urbana mini women's bag is a nice piece to add on your casual wear. 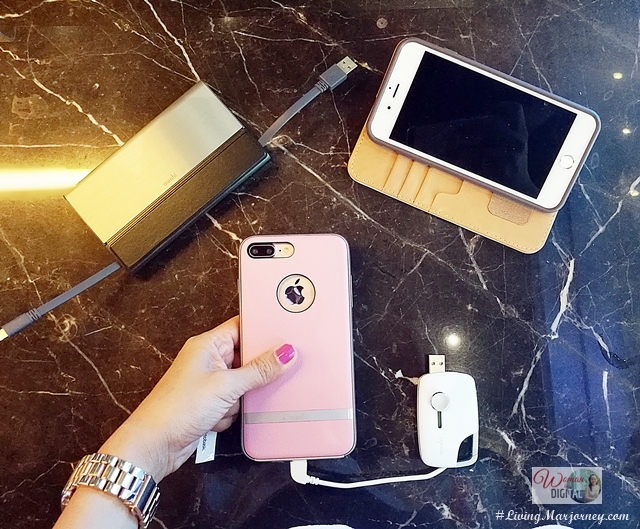 The size fits an iPad Air or iPad mini, wallet or purse, makeup, smartphone and even a small powerbank. 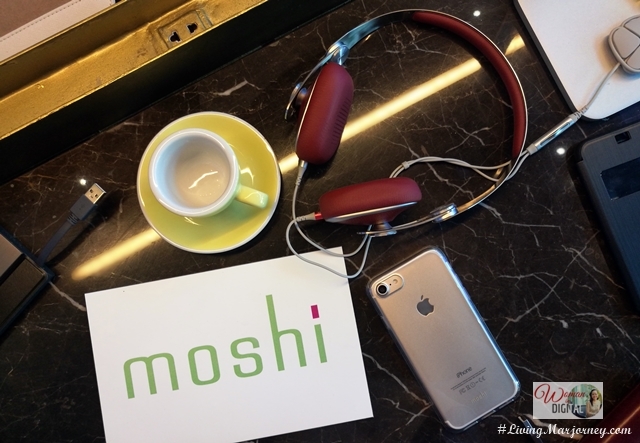 I went home with a Moshi Avanti on-ear headphones. I will share my review here on the next couple of days.